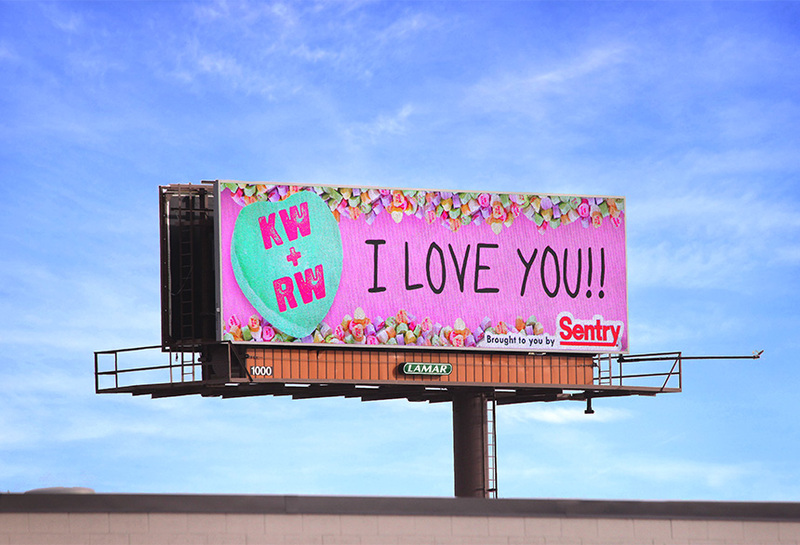 Sentry utilized Lamar's digital capabilities during Valentine's Day with an integrated Facebook campaign. The boards streamed user-generated messaging from Facebook directly to the digital billboards. When users submitted their initials, they had the ability to add a brief message as well.